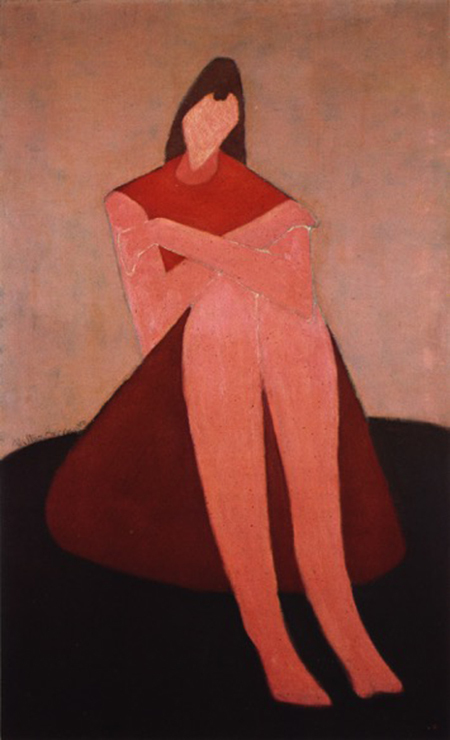 “Why talk when you can paint” – is the oft quoted remark by Milton Avery. Perhaps his minimal desire to express himself in words is a clue to why he distilled his subjects into such simplified, spare forms. Descended from hard-working English immigrants, Avery became the sole male provider of a household of nine female relatives. When he married Sally and they had a daughter, March, his world continued to be populated with a strong female presence. Once he devoted himself to creating art, he focused on his immediate world around him, imbuing familiar subjects – landscapes, still life and scenes of daily life – with gentleness and harmony. His total commitment to his own ideals confounded critics but Avery’s fellow artists were affected by his bold and innovative ways of rendering any scene and considered him a color poet. His art speaks to us and we feel his composure. To be in the presence of his work is to be free of any dissonance and to be at peace.